Symbolism and meaning of color is a very wide category of which numerous interpretations exist. However, throughout my research, the most relevant comments in my opinion are that blue stands for the vertical and the spatial, in other words height and depth, or the blue sky above, the blue sea below. It symbolizes that Masonry is as wide as these dimensions. It is also interesting to note that blue is considered to be "between black and white", also commonly identified with two opposing forces, good and evil. Thus blue is considered the most neutral of all the colors. 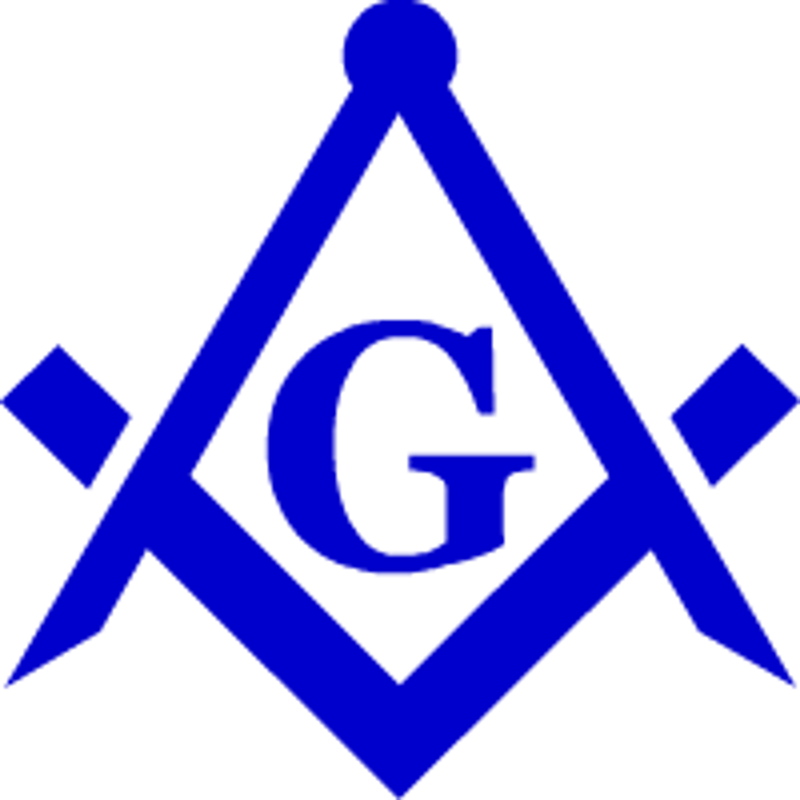 As Masons we are equal in our position with other members, regardless of color, rank, title or any other status, and it is very appropriate that blue would represent this equality. We can also say that this world is the neutral area, and we seek a deeper world, for the higher you go to heaven, the darker the blue sky becomes. In the same way, the deeper you go in the blue ocean, the darker it becomes. It is also commonly used to represent religious feeling, devotion and innocence. Blue was one of the primary colors used to adorn the Tabernacle (see Exodus 26:1). To the Egyptians, blue was used to represent truth. The Egyptians had two theories about the creation of the world; one, that is was created by Thaut, who when he uttered any word caused the object to exist, and two, that it was the work of Ptah, The Great Artificer. Path’s father was called Kneph, (also Cneph or Nef), and while many of the Egyptian Gods were adorned with different colors, Kneph is always depicted in blue. Kneph journeyed to the lower hemisphere, which appears to symbolize the evolutions of substances which are born to die and to be reborn. Isn't this similar to our belief in the immortality of the soul? Blue is also considered the color for the spirit and the intellect. Jesus teaches in a blue garment, and the Virgin Mary is usually depicted in a blue mantle, as is the Norse god Odin. Vishnu of ancient Indian mythology is blue, and one of his incarnations, Rama, is blue-skinned, symbolizing his vastness as deep as the heavens. In Europe, the Blue Flower was the symbol of the greatest aspiration of the spirit. In French, the word "bleu" is used as a substitute for the word "Dieu", which means God, as swearing was punishable in the Middle Ages by death. As such swear words such as "morbleu", "sacrebleu" and "parbleu" became popular substitutes in those times. The French royal family was associated with the color blue, because blue was associated with a celestial origin, and the royal family, like many royal families, also claimed to stem from this origin. As such the royal family was referred to as "de sang bleu" or godly blood. Even today, a substitute expression for aristocracy is "blue blood". Blue is the overwhelming "favorite color." Blue is seen as trustworthy, dependable, and committed. The color of ocean and sky, blue is perceived as a constant in our lives. As the collective color of the spirit, it invokes rest and can cause the body to produce chemicals that are calming. However, not all blues are serene and sedate. Electric or brilliant blues become dynamic and dramatic -- an engaging color that expresses exhilaration. Some shades or the overuse of blue may come across as cold or uncaring. Indigo, a deeper blue, symbolizes a mystical borderland of wisdom, self-mastery, and spiritual realization. While blue is the color of communication with others, indigo turns the blue inward to increase personal thought, profound insights, and instant understandings. Blue is the least "gender specific" color, having equal appeal to both men and women. Blue is the color of the Throat Chakra, also known as Visuddha. This chakra is located in the throat. It is linked to the throat, neck, hands, and arms. The Throat Chakra is connected with speech and hearing, and encourages spiritual communication. Opening the Throat Chakra is said to improve clairaudience. Gemstones that will aid the Throat Chakra include turquoise and aquamarine. • In Chinese culture, colors corresponded with the five primary elements, the directions, and the four seasons. Blue was associated with wood, east, and spring. • Blue, blue-green, and green are sacred colors in Iran, where they symbolize paradise. • In India, paintings of the god Krishna often depict him as having blue skin. • In the United States, post office mailboxes are typically blue. • In Mexico, blue is the color of mourning. • In Aztec culture, blue symbolized sacrifice. • In Greece, the color blue is believed to ward off "the evil eye." Those who believe in this Greek superstition often wear a blue charm necklace or blue bracelet for protection. o Sultan Salahuddin Abdul Aziz Mosque in Shah Alam, Malaysia. • The Catholic religion associates blue with the Virgin Mary.